Laser and Vein Center of North Jersey (Florham Park) - Book Appointment Online! Welcome to the Laser & Vein Center of North Jersey located in Florham Park, NJ. 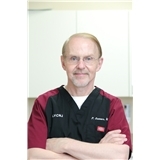 Along with his staff, Dr. Philip Seaver, a Diplomate of the American Board of Phlebology, Board Certified in Vascular and Cardiothoracic Surgery, and the practice’s Medical Director, provide expert services in the diagnosis and treatment of varicose veins and spider veins, as well as cosmetic procedures to help rejuvenate your face and skin. Please feel free to browse our website for an overview of some of the many services that we provide to our patients. Our vein and cosmetic specialists attract patients from Northern and Central New Jersey and New York City. We will try our best to fit you in any day of the week! Dr. Seaver is thorough in his examination and explains everything very clearly. He is personable and I felt at ease asking questions during my consultation. I highly recommend Dr. Seaver.